New Delhi: Even as Delhi’s three civic bodies have recorded 432 chikungunya cases till August 27, an inquiry by IANS shows that seven big hospitals of Delhi have reported more than 1,000 cases. According to sources in the hospitals, the All India Institute of Medical Sciences (AIIMS) alone recorded 391 cases till August 20, followed by Safdarjung Hospital (246), Apollo Hospital (almost 350), Lok Nayak Hospital (23), Hindu Rao Hospital (28), Kasturba Hospital (11) and the Guru Teg Bahadur Hospital (GTBH) has registered three confirmed cases. The total number of confirmed chikungunya cases in just these seven hospitals come to 1,052. The disease is caused by the bite of the mosquito Aedes aegypti. A typical chikungunya patient manifests high-grade fever, severe joint pain, headache, muscle pain, joint swelling or rash. In order to prevent chikungunya from spreading, people should not allow water stagnation, protect themselves from mosquito bites, keep their surroundings clean, dispose off unnecessary items such as old tyres, flower pots and cans, use mosquito repellents or nets and keep their own bodies well covered, experts said. “We have recorded 246 confirmed chigungunya cases so far. The number of suspected cases are more than 900,” A.K. Rai, the Medical Superintendent of the Safdarjung Hospital, told IANS. In private hospitals like Apollo too there have been a surge of patients diagnosed with chikungunya with already 350 confirmed cases. “The situation is really bad. 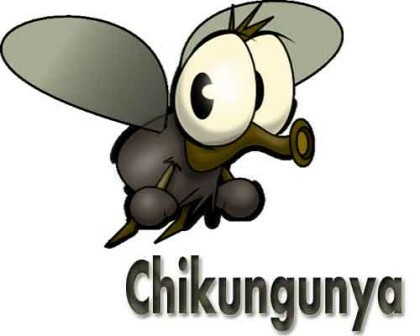 Out of 10-12 patients who come with fever each day, at least 5-7 are diagnosed with chikungunya. It is also because of the rain and waterlogging. It is going to persist till the rain stops,” Suranjit Chatterjee, Senior Consultant (internal medicine) at Indraprastha Apollo Hospital, told IANS. At Delhi government’s Lok Nayak Hospital, though the total number of confirmed chikungunya cases was reported to be 23, the suspected cases are said to be a lot more. “We have 23 confirmed chikungunya cases but the numbers could actually be more because a lot of them (patients) don’t go for tests. Suspected patients coming with fever each day is 600-700,” J.C. Passey, Medical Director of Lok Nayak Hospital, told IANS.